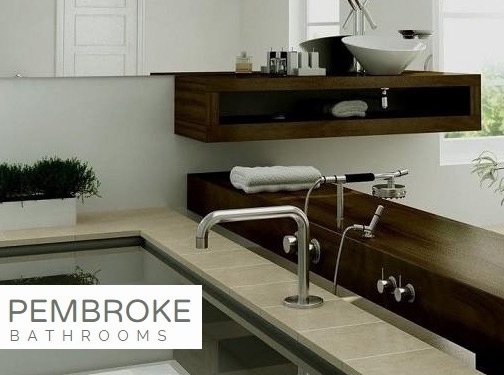 Pembroke Bathrooms offers a complete bathroom installation service, from design to installation including plumbing, tiling, decoration and electrics. By taking care of every aspect of your new bathroom, we are able to offer a comprehensive project management service from the start to the successful completion of your project. Whether you're simply breathing new life into a tired old bathroom, completely redesigning a bathroom layout, or looking for a local wetroom supplier, our expertly trained professionals will ensure that you're provided with the best bathroom materials and products. We're here to help you make the most of the space available to you. Our objective is to create a unique and innovative solution that will be a perfect balance between functionality and aesthetics. The bathroom is one of the most important rooms in the house. While the bathroom serves a functional purpose, it can also be a retreat and personal space that provides comfort and relaxation. If you're looking for some inspiration, make sure you take a look at our gallery pictures. And remember: when you choose us, all your new bathroom needs are taken care of - you don"t need to go anywhere else. We're proud to be a family-owned and run bathroom design and installation company. Our highly experienced and highly skilled team of installers are dedicated to carrying out work to the highest standards and the company as a whole is committed to ensuring our customers enjoy a pleasant experience. We believe in fully involving you when it comes to re-designing and redecorating a bathroom space - after all, you"re going to be using it! From your initial enquiry to design and installation, you can expect a service that's dedicated to you and your personal tastes and style. UK (Neyland, Pembrokeshire) based business providing bathroom design and installation services. Website includes details of services provided, work examples and projects, associations, testimonials, full contact details. Company website has been online since 2012 according to web.archive.org.